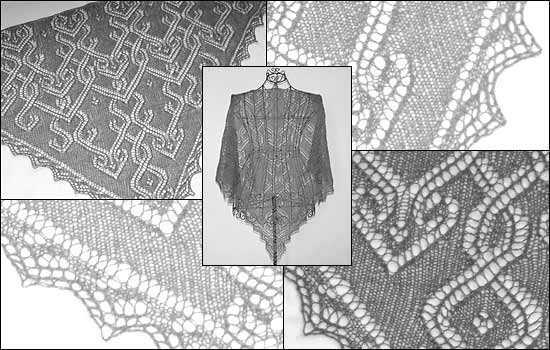 Clara is a triangular shawl worked from the bottom point upwards to the neckline. The edging along the borders is knitted as you go. The main part contains a romantical, ornamental pattern. *Clara* is one of the 12 patterns included in the » ebook *TuecherRausch*.